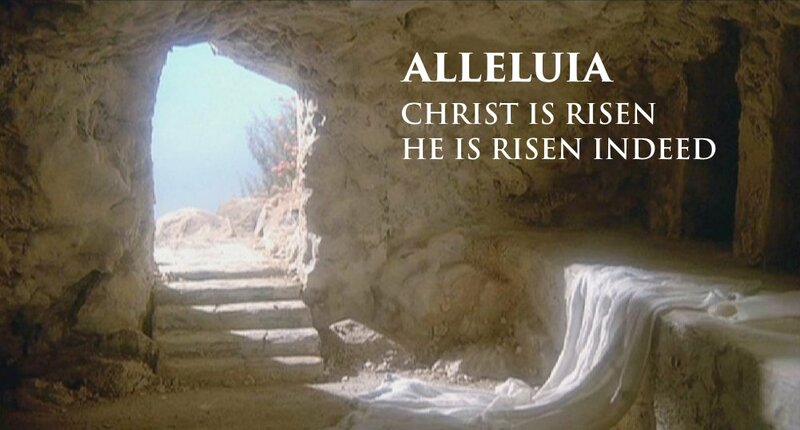 Alleluia: Christ is risen! He is risen indeed. Alleluia! Holy Saturday: the space between. Except it’s not really between: it’s integral to the Triduum, the three days on which the Church celebrates the Last Supper, the Passion and Death of Our Lord, and his Resurrection. The Triduum is one celebration liturgically. There is no dismissal after the evening Mass on Thursday; no greeting when the Church comes together on Friday; no dismissal then either. And there’s no formal greeting before the lighting of the new fire at the Easter Vigil. On the night before he was to suffer, Jesus took bread and broke it for his disciples. “Take, eat; this is my Body.” “This is my Blood.” Then he is betrayed by one of his own, subjected to a process of questionable legality, tortured and killed. The Father did not rescue his Son: the events were set and had to be completed. Jesus died. At this point, we wait. Even though we know what is coming, we have been here before, there is a space for God to do his work. This space is one for reflection. Jesus died for us: his is the atoning sacrifice for our faults and sins which we have inherited from our origins. By his obedience unto death, Jesus “accomplished the substitution of the suffering Servant,” as the Catechism has it, becoming an offering for sin. 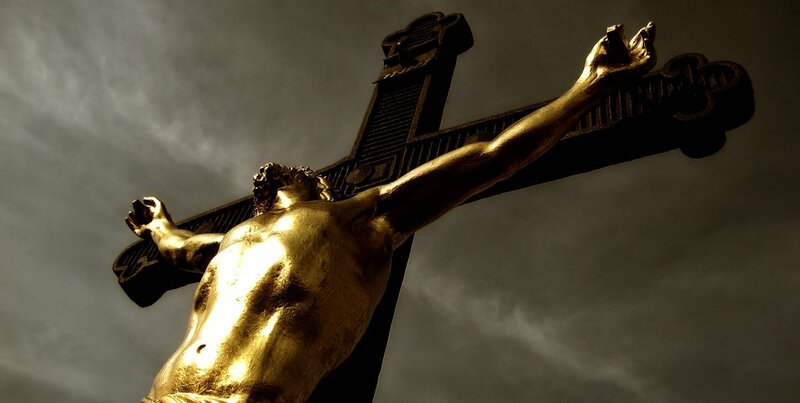 Because of this Original sin, no mere man, not even the holiest, was ever able to take on himself the sins of all and offer himself a sacrifice for all. Only one who was sinless, the Son of God made man, could do that. This is love. This is what God the Father and the Christ were prepared to do to rescue his creation from sin. It is the only solution; it is a terrible solution. 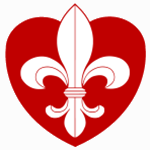 But is the source of eternal salvation. There is a little space to let that sink in. 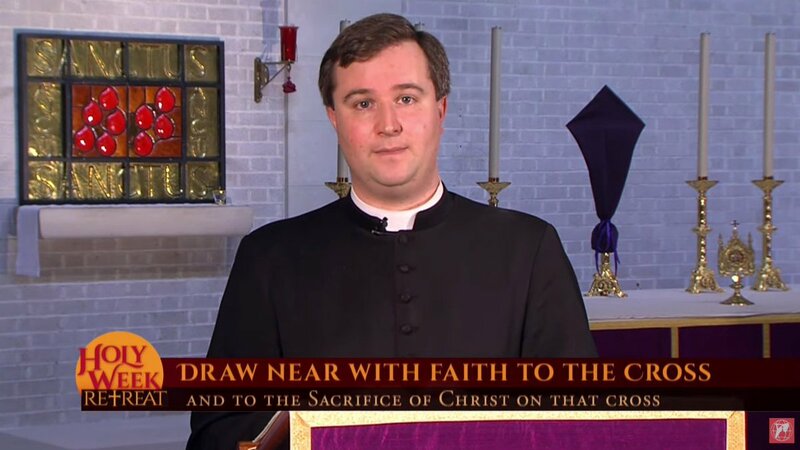 Fr James Bradley JCD of the Ordinariate gives today’s address in EWTN’s Holy Week Retreat from Southampton, following the events that changed the world on Good Friday, and meditating on how the cross in central to Christian Life. The video is also available on YouTube with the others in the series. 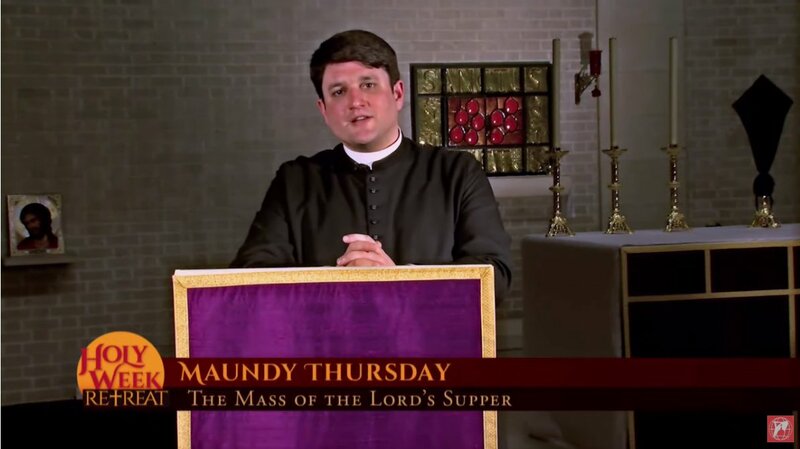 Fr Daniel Lloyd of the Ordinariate gives today’s address in EWTN’s Holy Week Retreat from Southampton, meditating on the events of Holy Thursday, and the very first time Christ instituted the Holy Eucharist. The video is also available on YouTube with the others in the series. During the Sacred Triduum members of the Ordinariate in Eastbourne join Fr Neil and Fr Thomas at Christ the King Langney. Mass is celebrated at every Catholic Church in Eastbourne on Sunday morning: see the calendar. During the Sacred Triduum members of the Ordinariate celebrate with Fr Thomas at Christ the King, Langney. Details are in the calendar.